However, by far my favorite hotel gem in the area—and maybe the entire city—is The Publishing House Bed and Breakfast, located just beyond the trendy Restaurant Row section of Randolph Street, and a few blocks from a couple of my favorite restaurants, Monteverde and El Che Bar. It&apos;s an intimate and relaxing respite for visiting guests, a little slice of heaven for local staycations—and entirely unique on Chicago’s impressive hotel scene. The historic brick building used to be the Free Methodist Publishing House, built in 1909. It was occupied by a casket factory, then the last holography museum in the country, and finally repossessed in 2009. In June 2017, after three years of renovations, it reopened its doors as the most breathtaking bed and breakfast. Innkeepers Shawn Uldridge and Kimberly Lowery are the Australian and American husband-and-wife team behind the hotel, and you can easily tell they&apos;ve poured their hearts into this place. They&apos;ll greet you warmly each morning and cook breakfast for you to order, making you feel more like an old friend than a paying guest. 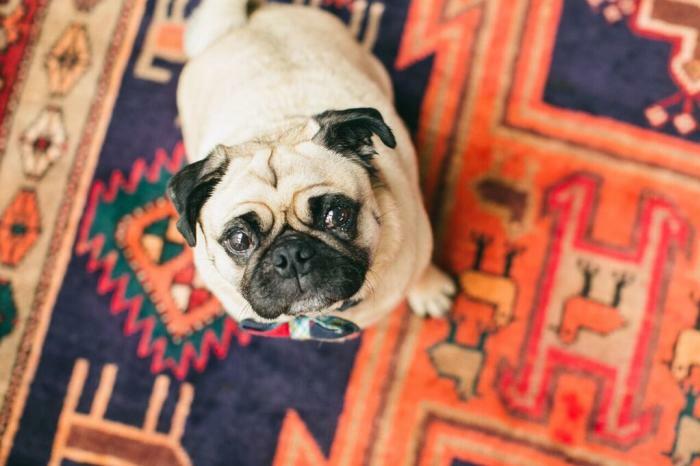 That feeling of home away from home is only more accentuated by the welcoming committee – pugs Angus (pictured above) and Louie. True to its publishing house roots, the hotel is filled with many cozy nooks in which to curl up with any one of the good books you’ll find laying around—including a huge, towering stack in the common room. Each guestroom is inspired by an author who has written a book based in Chicago; copies of each are available in guestrooms for those who share the owners’ love of literature. The Sinclair is stocked with copies of Upton Sinclair&apos;s The Jungle, for example, while the Audrey room is named for Audrey Niffenegger, author of The Time Traveler&apos;s Wife. I stayed in Rooney, named for Kathleen Rooney, author of O&apos;Democracy, a critical but comedic take on modern politics. The first few chapters were riveting—until I had to get on a conference call. Luckily, there are several copies of each book for sale, so just slip one into your bag and they&apos;ll charge it to the room. Kimberly is an excellent baker, and her homemade cookies and muffins are available throughout the day to satisfy your snack attacks. Many hotels include breakfast in the rate, but it&apos;s usually a rather perfunctory continental affair. Here, fruit, homemade granola, and yogurt are laid out with a couple of hot breakfast options cooked to order. 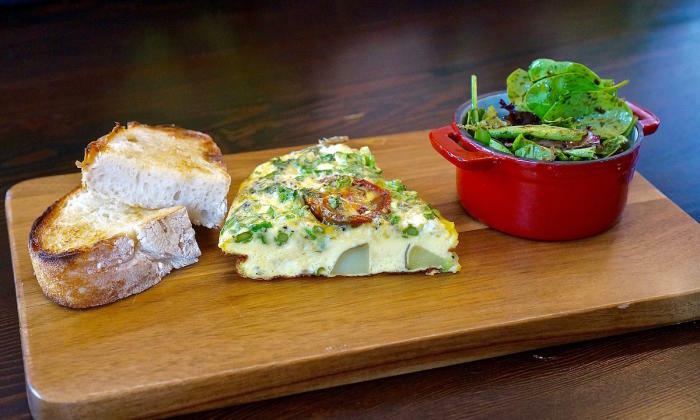 My first morning, the choice between gluten-free corn fritters topped with spinach and poached eggs or a veggie frittata with side salad and buttered Red Hen Bakery toast was a difficult one. One afternoon, Shawn even texted me to ask exactly what I’d like to have for breakfast the next morning. I was so touched by the personalized service. 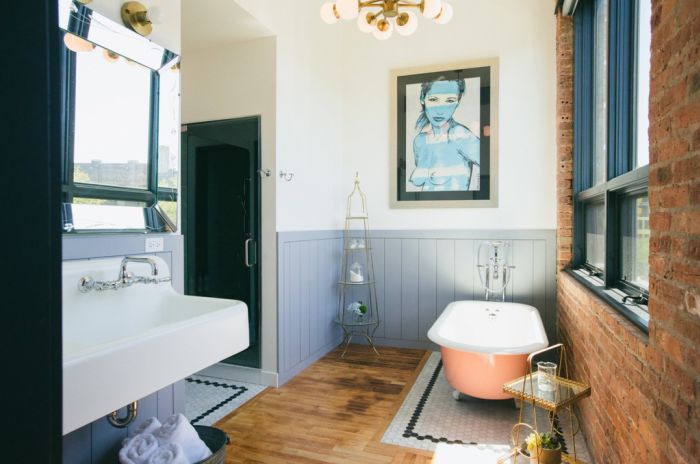 Plus, the rooms are well appointed, with industrial vintage furnishings, heated bathroom floors and Malin + Goetz toiletries. 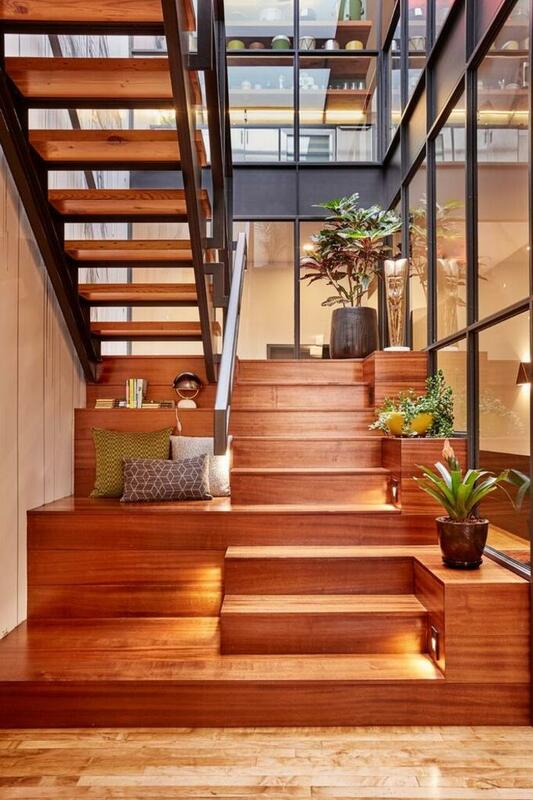 Both the architect and interior designer are Chicago locals, Nushu Architecture and Vero Design + Build. Everything about this place oozes comfort. One evening, I invited friends and colleagues over to sip wine and work on puzzles by the wood-burning fireplace in the spacious common area. The room features mid-century modern furniture and an all-too-tempting grand piano—although I didn&apos;t subject anyone to my questionable piano-playing skills. A really unique feature of this bed and breakfast is its attachment to a salon. 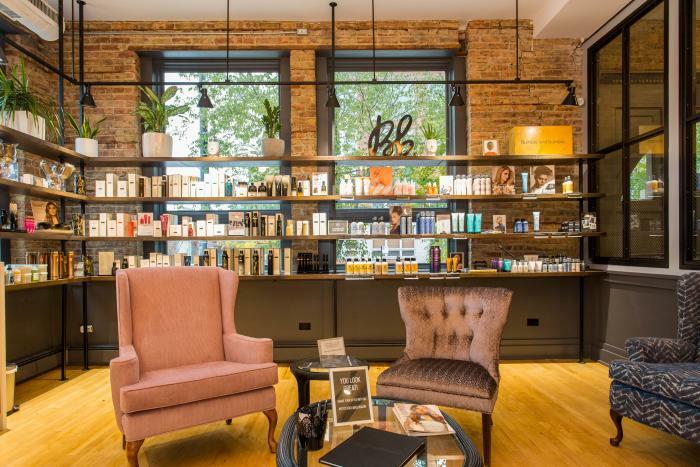 Solo Salon (pictured above), a West Loop staple for the past decade, just opened its second location in October adjacent to The Publishing House. You don&apos;t even have to step outside to get your hair and makeup done, and the staff members here are seasoned pros. My only regret is that I didn&apos;t have time to get a drink at The Press Room, a cozy wine bar in the basement, offering cheese, charcuterie, and a robust selection of affordable wines by the glass. I have a feeling I&apos;ll be checking in again before too long though – so next time! The Publishing House is located at 108 N May St. Call (312) 554-5857 or visit publishinghousebnb.com to book.